It is summer time and very hot everywhere around the world, not just Hong Kong. I am so glad I travelled to Europe in June. Otherwise, the heatwave is going to kill me for sure! Anyway, let me talk a little bit more about what I want to get recently. That is a pair of black sneakers. You guys know I usually wear white sneakers and I lack of black sneakers. I recently came across Wikibuy and found a really nice pair of Puma suede sneakers in black. If you are guys have any suggestions of good black trainers, let me know! 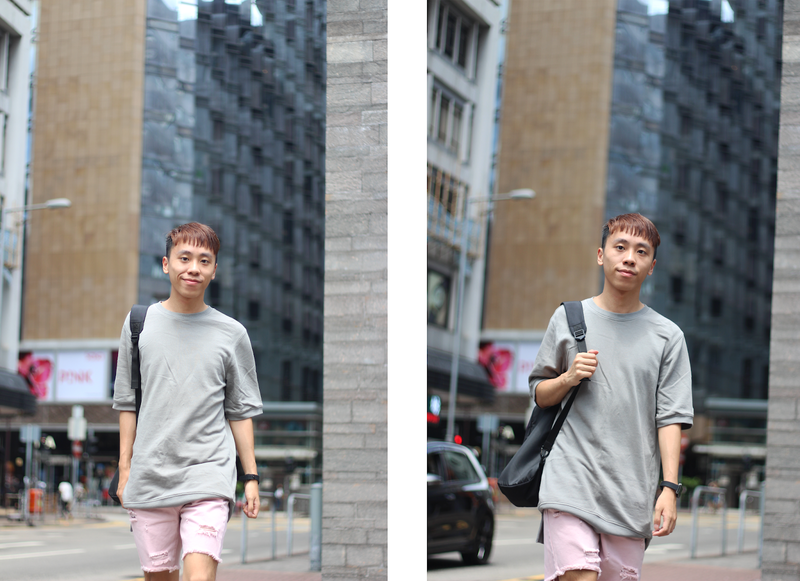 For today's post, I am sharing how I wear pastel this summer. If you do not wear pastel in summer, you are definitely missing the point of summer! I feel like summer is the best season which you can rock colourful outfit! For this outfit, I wore light grey oversized top and pink ripped shorts. To easily style pastel, I would highly recommend wearing white sneakers. White sneakers simply go with everything! Do you guys love this look? Let me know on the comment section. Such a cute pastel color! Love this casual look! Love how you've paired with with basic hues rather than piling more and more pastel. Perfection! I definitely think this is such a modern look! So much better than khaki shorts!! 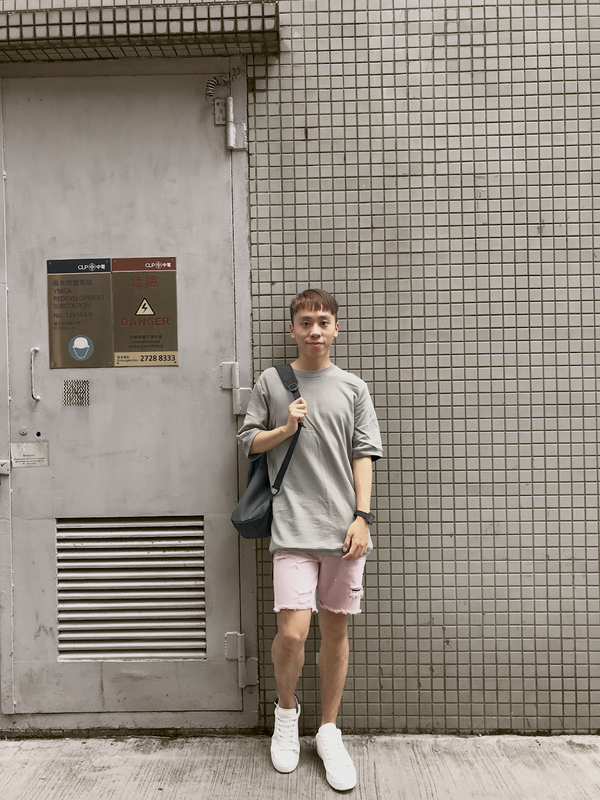 I love how you have paired those pastel pink Bermuda shorts with a grey t shirt that balanced the pink nicely. Great street style look, you look great. Love this color palette and your shorts are so cool! I absolutely LOVE the way you've styled those pastel shorts! They look so good paired with the grey tee. I don't know why most of us reserve pastels for the spring months only, they look great pretty much all year round. Thanks for the inspo and I hope you're having a great start to your week so far! I've always loved when guys wear pastel pink, and these shorts look great! I love the colour of your shorts!! I totally love your colour combo! Those sneakers are gorgeous. This is a great casual look. I love pastel colors in the summer (and winter). This casual summer look is really cool and the distressed pastel shorts elevate this look to another level! Happy Tuesday! Such a simple but lovely outfit. Love the colors!